Danang Construction Department has just issued a decision to sanction some construction works with investors and contractors have not properly and fully comply with the law on construction. Accordingly, three “big” Delta, Coteccons, Hoa Binh sanctioned a total of VND130 million. 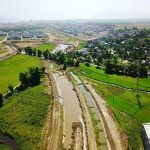 Specifically, Hoa Binh Construction Group Corporation was fined a total of VND70 million due to construction errors that were not in accordance with the approved construction method and the use of unproductive construction equipment. 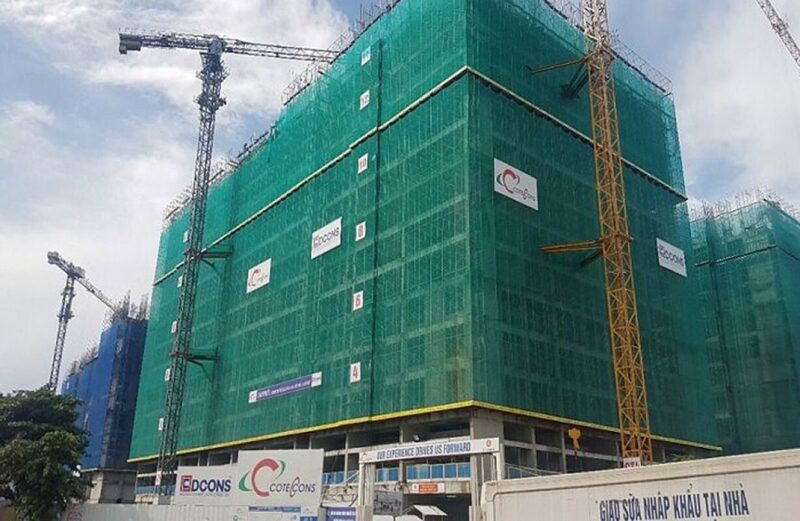 Coteccons Construction Corporation was fined VND 30 million because of construction errors not in accordance with the approved construction method. Delta Industry and Civil Engineering Co., Ltd. is fined VND 30 million for using unpriced construction equipment. In addition, My Phat Corporation and Phuc Minh Hoa Co., Ltd. are also fined for unauthorized construction, Dong Phong Tourism and Trading Joint Stock Company is fined for illegally planting green trees. 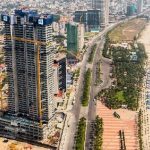 According to the Da Nang Department of Construction, in the fourth quarter of 2017, the Department Inspectorate has detected and processed 16 units have committed violations in the project, works are under construction with a total fine of nearly VND 450 million. Da Nang Construction Department also said that in the coming time, it will continue to coordinate and request the Chairman of the People’s Committee of the districts to strengthen the responsibility of the leader in the management of construction order is stipulated in the Decree 180 of the Government, especially Directive No. 21-CT / TU dated November 1,2017 of the Standing Committee of the City Party Committee. As VietnamFinance previously reported, Vu Quang Hung, director of Da Nang City’s Department of Construction, said some investors, especially some foreign investors, have taken advantage of the policy of attracting investment. With resort real estate products to catch up with APEC at the same time deliberately violate urban order in a sophisticated way. He said that in the 11 months of 2017, the Department of Construction in conjunction with the district inspection has detected 574 cases of violations, fines more than VND5 billion. People’s committees of districts have also coerced, dismantling 120 unauthorized works. Beside handling the owner, Department of Construction also directed the sanctioning of construction units as contractors, consultants to supervise, and publicly post information processing situation on the portal of the Department for the purpose of deterrence and prevention. 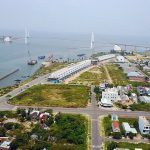 You are reading the article Da Nang sanctioned Delta, Coteccons, Hoa Binh for construction violations in the Real Estate category at https://realestatevietnam.com.vn/. Any information sharing, feedback please contact through Hotline 0909890897 (24/7) or email to info@realestatevietnam.com.vn.